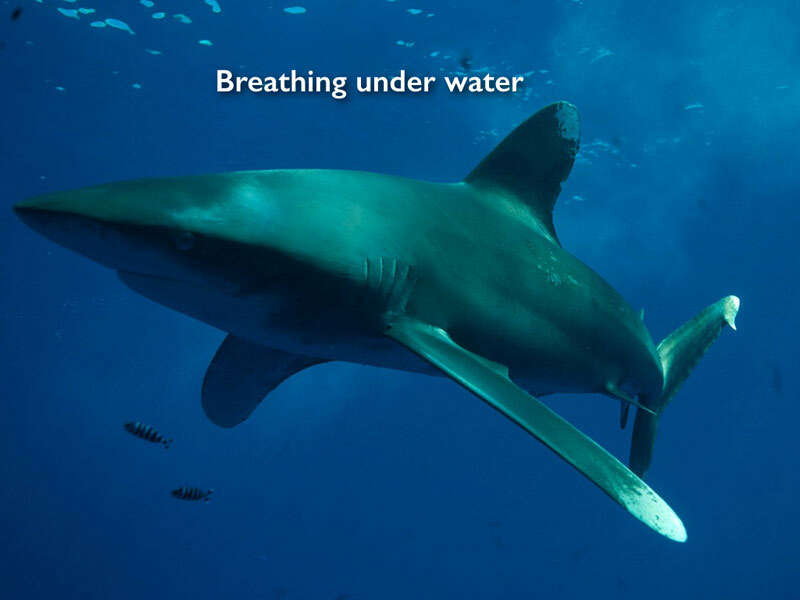 How do sharks breathe, how to they move, what type of sensory organs do they have and what can be accomplished with them, how do they reproduce... ? These are some of the questions answered in this lectures. Picture shown: Oceanic whitetip shark. Breathing. Picture shown: Oceanic whitetip shark. 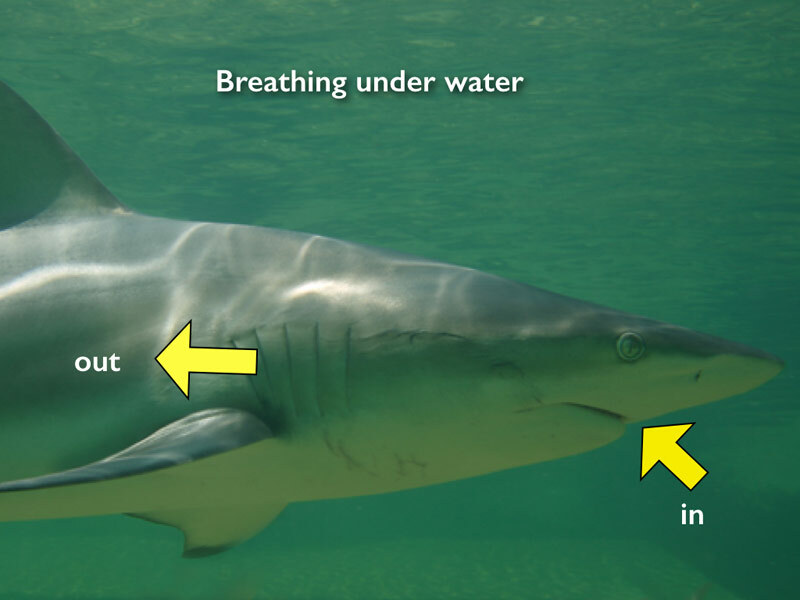 Breathing happens through oxygen absorption when the water flows over the gills. It mostly flows passively through the mouth (in) and the over the gills and slits (out). Picture shown: Blacktip shark. Drawing of a whale shark. The red colored structures represent the gills. 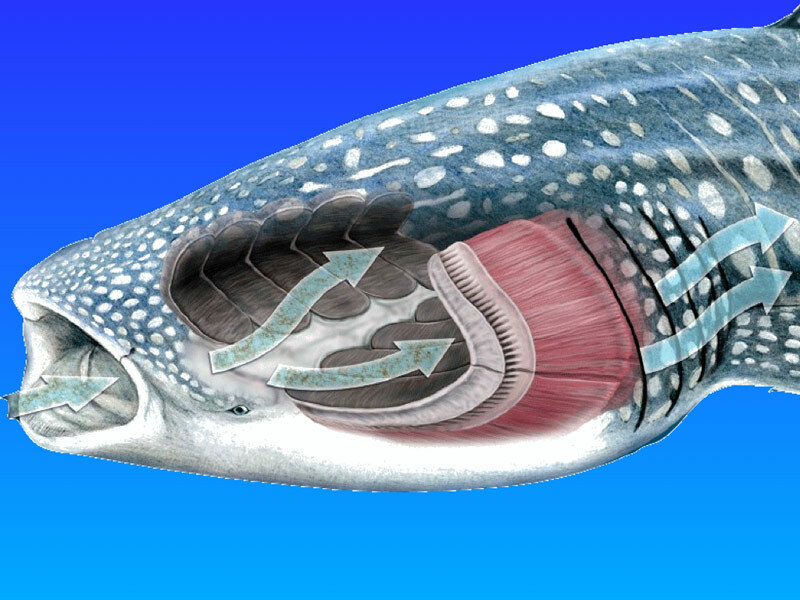 The way gills function among sharks is similar to bony fishes. Here as well, the oxygen carried by the water is absorbed through the gills. 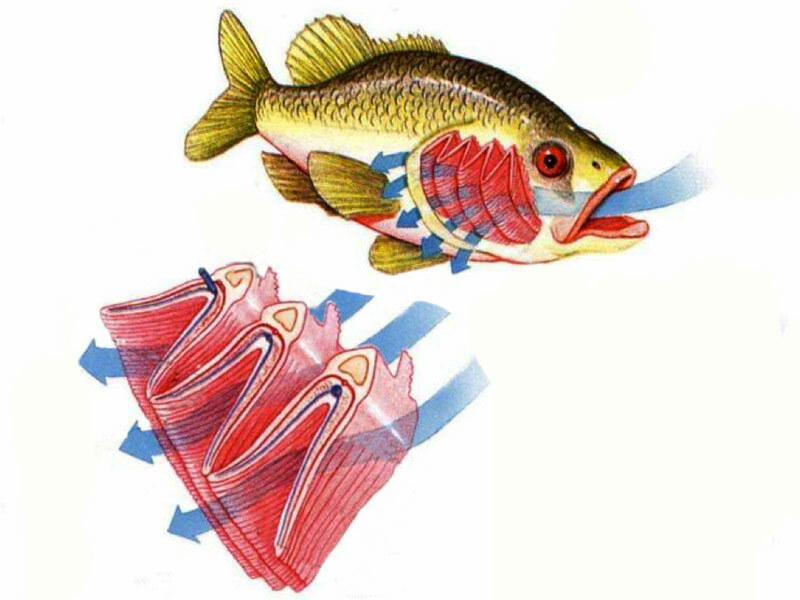 While the water flows around the gills, a special mechanism allows oxygen to be absorbed into the blood stream of the animal. The absorption of oxygen in a white shark is equal to the majority of shark species. However, some species possess very strong gill muscles enabling them to lay on the bottom an actively pump water through their gills. White sharks are not capable of doing so. 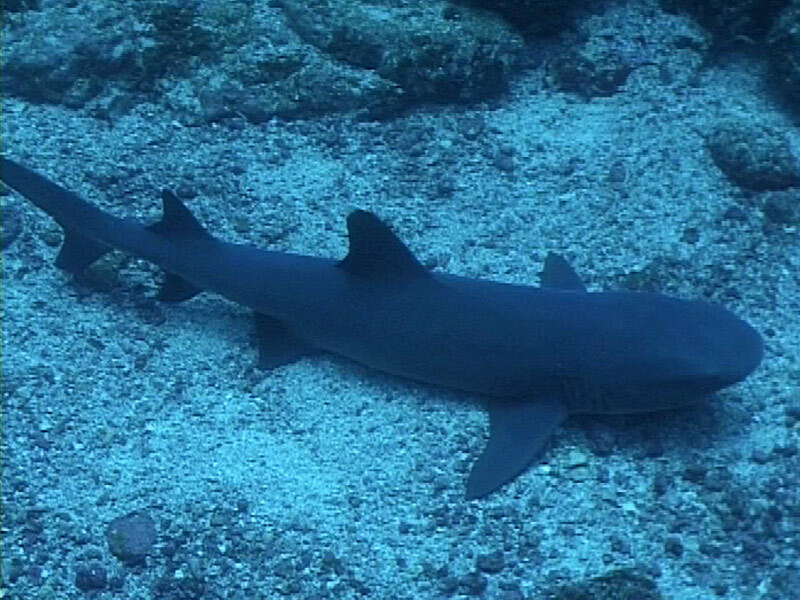 Whitetip reef shark pumping water over the gills. 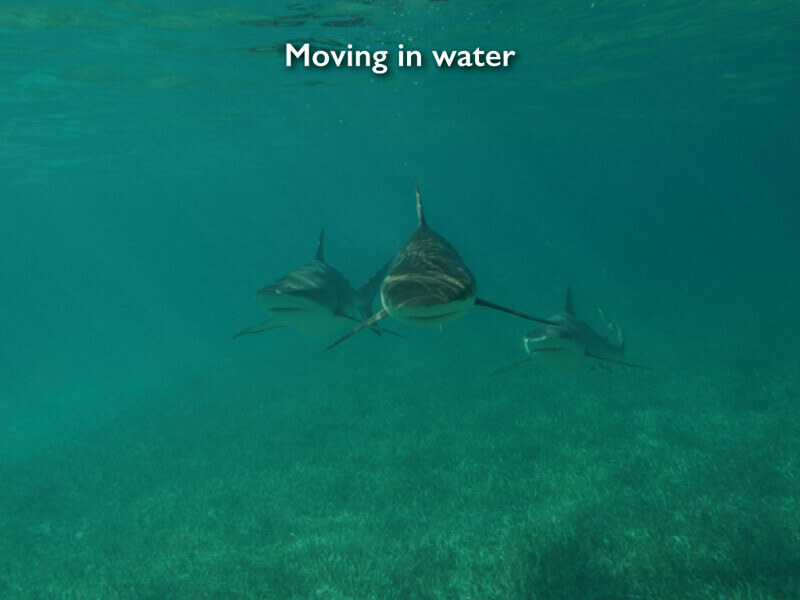 There are many studies dealing with a shark's locomotion. 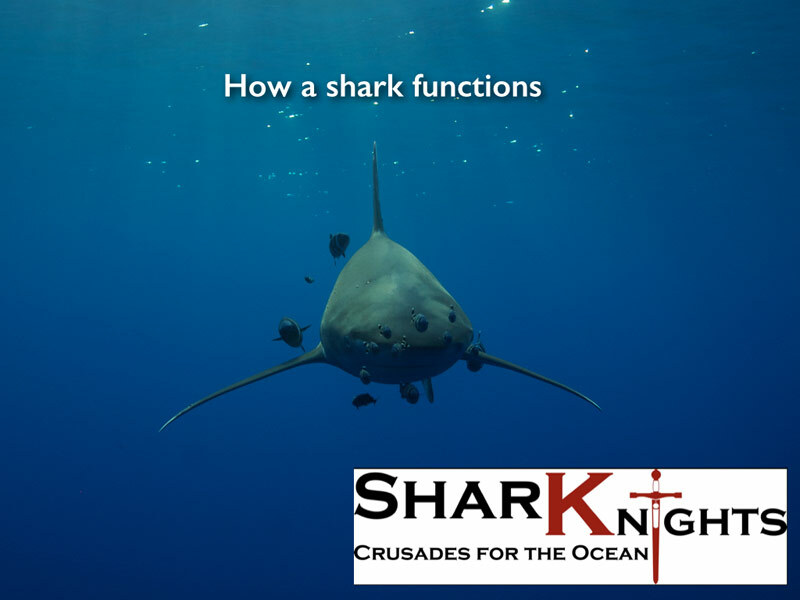 Generally speaking, there are two strategies of shark locomotion: they are either fast swimming and so find more food to compensate for the energy used due to the fast motion, or they swim very slowly, using less energy but due to the slow speed find less food as well. Please read our frequently asked questions before creating a new support ticket. Head Office - Global Green Marine Inc. Copyright © 2019 SharkKnights. All rights reserved.